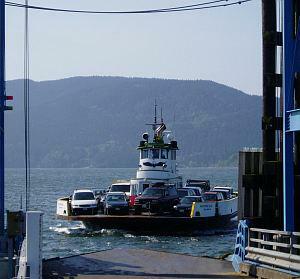 The on-again, off-again saga of the Lummi Island ferry, Whatcom Chief, seems to be off-again. At the end of 2009, here in Whatcom County, there was a rumbling that the county was going to lose the mainland dock -- that they were going to have to find an alternative way to get the 700 or so Lummi Island residents back and forth across to the island. The ferry, Whatcom Chief, leaves from Lummi reservation land on the mainland. And, over recent years, the tribe has been making it plain and clear that they would like to have the ferry permanently vacate that dock. It seemed like progress had been made, since 2009, and that Lummi Island residents could breathe easier. The ferry was still running and the two sides were negotiating the future. But, on February 10th, 2011, a Lummi Nation's business council spokesman said that the tribe was at a stalemate in negotiations with the county and that they want the county to shut down the ferry within the next 60 days. If the county really loses the ferry dock at Gooseberry Point, the only alternative they have is to run the ferry from Fairhaven in Bellingham. That turns a quick five minute commute into a 50 minute trip -- not popular with residents of the island, many of whom go back and forth to their jobs, in nearby Bellingham, on a daily basis or a few times a day even. Whatcom County has been paying the Lummi Nation $16,667 per month as an interim deal. The tribe says they will return that money, from February, and terminate the arrangement. Needless to say, the county officials are scrambling, and still negotiating and mulling this over, so it will be interesting to see where the ferry will call home after April 10, 2011. 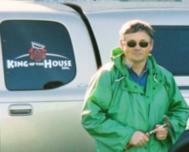 And, this type of uncertainty cannot be good for the Lummi Island real estate market. For more information on this, here is a link to the Bellingham Herald.